Irish Verb Blitz for Android released – Happy St. Patrick’s Day! Appropriately for St. Patrick’s Day, Geoglot has released its popular Verb Blitz app for learners of Irish Gaelic! Featuring over a hundred Irish verbs – regular and irregular – the app makes for a handy reference tool. Additionally, the suite of learning games provide excellent drilling opportunities those tricky verb endings. Conjugation quiz – can you pick the correctly conjugated form for the prompt given? Snap quiz – can you recognise when the prompt and the translation match up? Gapfill – can you spell out the conjugated forms correctly from the letters given? The games will also keep track of your confidence with each verb you practise. You can check your tally at any point in the performance section, which is colour-coded with a traffic lights system for convenience. Irish Verb Blitz for Android is available from the Google Play store right now. Happy learning! Posted in Android Apps, Apple Apps, IrishTagged activity, Android, app, conjugate, conjugations, drill, education, Gaelic, Gaeltacht, game, grammar, Irish, Irish Gaelic, Irish language, language learning, learning, learning Irish, linguistics, MFL, practice, practising, reference, verbsLeave a Comment on Irish Verb Blitz for Android released – Happy St. Patrick’s Day! Romanian Verb Blitz now available on iOS! Hot on the heels of its Android cousin, Romanian Verb Blitz for iOS is now available on the App Store! iPhone and iPad users can now learn, drill and consolidate over a hundred Romanian verbs on their devices. The language is a typical member of the Romance family – full of tricky conjugations and oodles of endings. Verb Blitz takes some of the pressure off by providing a handy reference, as well as a suite of drill tools. The verbs selected are amongst the most common words in Romanian. That makes the app a fantastic vocabulary expander for beginners, as well as the perfect grammar self-tester. What’s more, the app keeps track of your performance on each verb, so you can check your progress at any time. You might be surprised at the verbs you’re finding easiest / trickiest! As little – or as much – as you like! You can choose which tenses to drill in the app settings. Just beginning in the language? Try just the present tense for now. A dab hand? Test your mastery by selecting all tenses to test in the drill games. Whatever your level, we hope there are plenty of linguistic goodies in the app for you. Check out our full range of iOS apps here for more language tools for your Apple device! Romanian Verb Blitz for iOS is available for free in the App Store now! Posted in Apple Apps, Grammar, Romanian, VerbsTagged conjugate, conjugations, declensions, decline, drill, grammar, language, language learning, MFL, practice, practise, Romanian, testLeave a Comment on Romanian Verb Blitz now available on iOS! Romanian verbs? No problem with our new Android app! Romanian learners can now hop on the Geoglot verb drill train, with our brand new release of Romanian Verb Blitz for Android! It’s always an exciting moment when we release a new language at Geoglot. Romanian has been a particularly interesting one, especially for those of us who speak other romance languages. To those familiar with Italian, Portuguese, French or Spanish, Romanian will seem strangely familiar. It developed from the Latin spoken by Roman settlers in Dacia – roughly modern-day Romania and Moldova – and has been influenced by its surrounding non-romance languages too. For learner of this fascinating language, Romanian Verb Blitz is both a handy reference and grammatical drill tool. With over 100 conjugations, there’s lots of opportunity to practise those tricky endings (typical for a romance language!). Not only that, but it’s also a great way to expand your everyday vocabulary. The verbs included represent some of the most commonly used words in Romanian, so you’ll boost your word power as well as your grammar. You can select which tenses to play the games with – ideal for focusing on what you are currently learning. Only covered the present so far? Then just select that one in the settings. Want a fiendishly tricky test to test your language skills? Then select all of them! What’s more, the app will track all the verbs that you have found trickiest across the games. You can review these at any time in the ‘Performance‘ section, and target them for more practice. As always, Verb Blitz for Android remains a free download, supported by discreet in-app ads – but never in the activities themselves. Download Romanian Verb Blitz for Android from the Google Play Store at this link! Also, check out our other Android apps here. We love languages and we’re always adding new ones to the catalogue! Posted in Android Apps, RomanianTagged conjugate, conjugation, conjugator, declension, declensions, decline, drill, endings, grammar, language, language learning, learning, MFL, practice, practise, practising, Romanian, self-test, test, verb, verbsLeave a Comment on Romanian verbs? No problem with our new Android app! Danish Verb Blitz now on iOS: Dansk practice for Apple users! Another Scandinavian language joins our growing range of iOS grammar drill apps with the release of Danish Verb Blitz for iOS this week. With well over 100 verbs to learn, review and drill, it’s a great way to hone your language skills. The featured verbs are also amongst the commonest words in the language. That makes the app is a great tool for expanding your vocabulary, too. Gapfill is one of our favourites, as it really tests your knowledge of written forms – master those spellings! As well as the activities, there’s a handy tracking system. Using a simple score tracker through the games, you can check at any point which verbs you’ve found trickiest. Our new dansk addition completes a trio of new apps on the App Store, representing three mainland Scandinavian languages. If you’re a fan of them all, check out Norwegian (Bokmål) Verb Blitz and Swedish Verb Blitz for iOS, too. Not using an Apple device? All the languages are also available in our Android collection, too. Our full Android catalogue can be found here. Danish Verb Blitz for iOS is available for free from the App Store now! Posted in Apple Apps, Danish, Grammar, VerbsTagged conjugate, conjugation, Danish, Danmark, dansk, declension, decline, Denmark, dictionary, drill, grammar, language learning, languages, MFL, practice, practise, practising, reference, Scandinavia, tool, verbs, vocab, vocabulary, word listLeave a Comment on Danish Verb Blitz now on iOS: Dansk practice for Apple users! Hot on the heels of its Norwegian cousin, Swedish Verb Blitz for iOS joins our growing catalogue of language apps on Apple’s App Store! With well over a hundred verbs, Swedish Verb Blitz is a great way to practise your svensk grammar. And as they represent some of the most commonly used Swedish words, it’s also a great way to expand your vocabulary. Additionally, there’s a performance section to track your progress. Each time you play an activity, the app will note the verbs you found the trickiest. Just check back in ‘Performance’ to review and revise them. Learners of svenska are relatively lucky when it comes to learning verb tables. With its Scandinavian cousin languages, it shares a highly simplified system for person. However, irregular verbs can still be tricky. Like other Germanic languages, some very common Swedish verbs change their root vowel to indicate tense – a feature called ablaut. In English, we see it at work in verb patterns like do – did – done and swim – swam – swum. A svensk example is the verb ‘to burn’, which is brinna – brann – brunnit. You’ll find the most frequent of these so-called strong verbs here in the app, so you can learn, revise and drill. As always with our Verb Blitz apps, Swedish Verb Blitz is a free download, supported by in-app ads. We’ll never put ads in learning games themselves, but restrict them to menus for the least disruption. Download Swedish Verb Blitz for iOS from the App Store from this link! Posted in Apple Apps, Grammar, MFL, Norwegian, VerbsTagged app, app store, Apple, bokmål, conjugation, conjugations, declension, declensions, decline, drill, grammar, grammatic, iOS, morphology, norsk, norwegian, practice, practise, practising, verbsLeave a Comment on Norwegian learners: master those verbs with our new iOS app! It’s always an exciting moment when we add a new language to the Verb Blitz range. 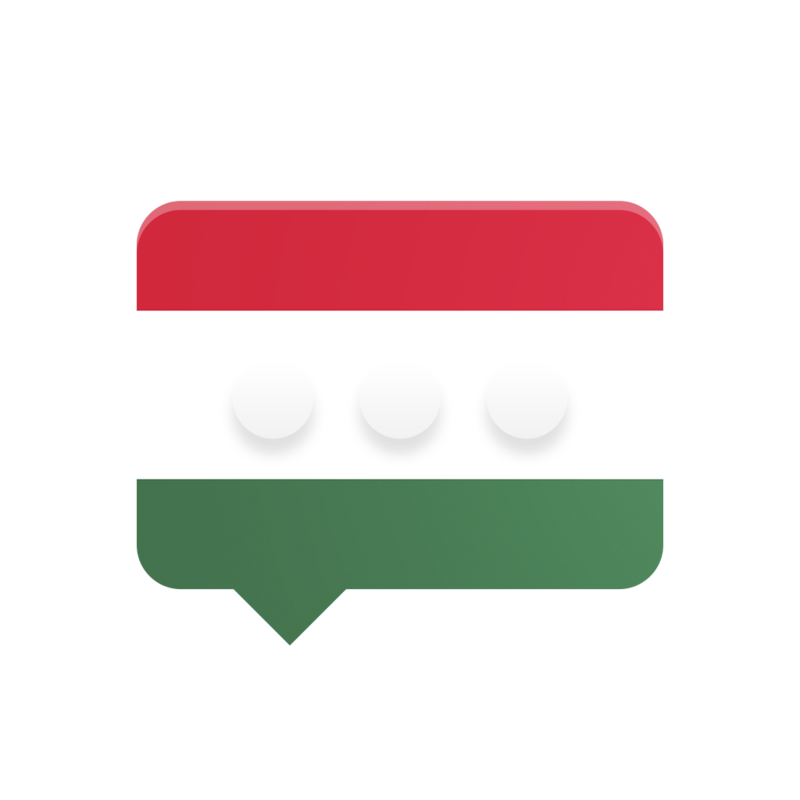 This time, magyar [ˈmɒɟɒr] gets some attention with our release of Hungarian Verb Blitz for Android! Every language has its interesting and different features, and Hungarian is no exception. What is particularly special about Hungarian is that transitive verbs have two forms: indefinite and definite. This means that the verb codes for whether its object has indefinite (like ‘a’) or definite (like ‘the’) status. You can read more about Hungarian indefinite and definite status in this very helpful Wikipedia article. Note that when playing the games, you can use the settings to exclude definite forms, and just focus on the indefinite ones if you prefer. Likewise, you can turn on and off several of the tenses in the games if you prefer to focus on just the basic ones. Otherwise, Hungarian verbs display a regularity that is rare in some of the more mainstream languages taught in schools and colleges. There are just a handful of very irregular verb paradigms, and once you have learnt the quirks of the language (such as vowel harmony), verb conjugation is not as hard as it first seems. Click here to download Hungarian Verb Blitz for Android from the Google Play Store! Posted in Android Apps, Apple Apps, Grammar, Hungarian, VerbsTagged conjugation, declension, forms, grammar, Hungarian, learning, magyar, MFL, practice, practise, practising, tables, teaching, verb, verbsLeave a Comment on Hungarian Verb Blitz released! Learning Icelandic? Want to talk about your holidays past, present and future? Our Nordic learning team has just put together this free worksheet to help you do just that! The worksheet features ten verb phrases to cover fun stuff you do on holiday. It’s completely in Icelandic, with spaces for you to write translations. And all ten verbs are presented in present, past and future examples, to really stretch your tense usage. For talking about future plans, the team made use of the supremely useful Icelandic word ætla. While not strictly the grammatical future tense in Icelandic (this is formed with munu instead), it is a hugely useful little word for speaking about future intentions, covering the sense of ‘to intend to …‘ or ‘to be planning to …’ in English. Happy learning, and please leave any feedback or suggestions for future worksheets in the comments! Be a Greek Number Whizz! Hot on the heels of our first Greek app (Greek Verb Blitz), Greek Number Whizz is now available for Android! Interactive games: make drilling those numerals less of a chore! Greek Number Whizz is available for free (supported by in-app ads) on Google Play now from this link. Happy learning! Posted in Android Apps, Apple Apps, Google Play, Greek, NumbersTagged Android, arithmetic, drill, games, grammar, greek, math, mathematics, maths, MFL, mobile, Modern Greek, numbers, phone, practice, practise, αριθμοί, γραμματική, ελληνικά, ξένες γλώσσες, παιχνίδιαLeave a Comment on Be a Greek Number Whizz! Modern Greek verbs? No problem! It’s a special moment when we get to add a brand new language to the Geoglot range. And today, we’re pleased as punch to announce the debut of Modern Greek! Greek Verb Blitz is a free reference and drill tool for learning conjugations, in the same successful mould as our other popular Verb Blitz apps. With over 160 commonly used Greek verbs, it’s a great way to practise grammar, as well as expand your vocabulary. Active and passive declensions are dealt with as separate entries to keep things simple and digestible for learners, with verbs presented neatly conjugated across tenses and aspects. Game settings allow for different tenses to be tested, so you don’t have to feel overwhelmed if you’re just starting to learn. Greek Verb Blitz is available for free from Google Play at this link. As always, Geoglot Android apps are supported by in-app ads in order to make language learning as widely accessible as possible. Happy learning and καλό ταξίδι (that’s bon voyage) on your journey into the Greek language! Posted in Android Apps, Apple Apps, Google Play, Grammar, Greek, Learning, VerbsTagged conjugation, declension, drill, grammar, greek, language, languages, MFL, modern, practice, practise, verbs, γραμματική, ελληνικά, ρήμα, ρήματαLeave a Comment on Modern Greek verbs? No problem!